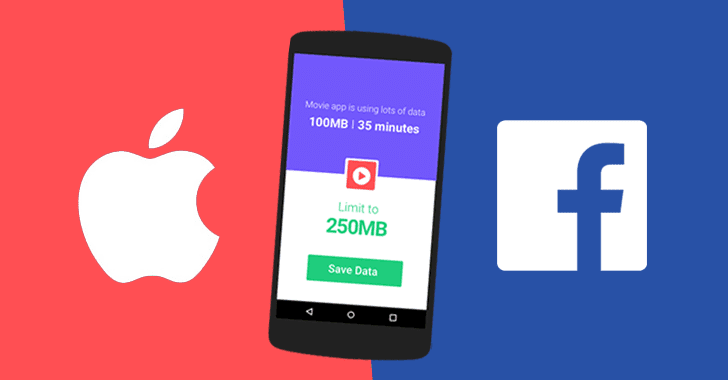 Facebook yesterday removed its mobile VPN app called Onavo Protect from the iOS App Store after Apple declared the app violated the iPhone maker's App Store guidelines on data collection. The so-called VPN app has been the source of controversy earlier this year, when the social media giant offered it as a free mobile VPN app, promised to "keep you and your data safe when you browse and share information on the web." However, Onavo Protect became a data collection tool for Facebook helping the company track smartphone users' activities across multiple different applications to learn insights about how Facebook users use third-party apps. Why Did Apple Remove Facebook's Free VPN App? A discussion between Apple and Facebook about the app occurred last week, and Apple reportedly suggested Facebook to "voluntarily" remove Onavo Protect from the App Store, to which Facebook agreed. "Earlier this month, Apple officials informed Facebook that the app violated new rules outlined in June designed to limit data collection by app developers, the person familiar with the situation said," the report reads. "Apple informed Facebook that Onavo also violated a part of its developer agreement that prevents apps from using data in ways that go beyond what is directly relevant to the app or to provide advertising, the person added." "We work hard to protect user privacy and data security throughout the Apple ecosystem. With the latest update to our guidelines, we made it explicitly clear that apps should not collect information about which other apps are installed on a user’s device for the purposes of analytics or advertising/marketing and must make it clear what user data will be collected and how it will be used." While Facebook markets Onavo Protect as a free VPN tool for users to keep themselves and their data safe, the app actually does is create a VPN that redirects users' internet traffic to a private server managed by Facebook. "Onavo may collect your mobile data traffic. This helps us improve and operate the Onavo service by analyzing your use of websites, apps, and data. Because we're part of Facebook, we also use this info to improve Facebook products and services, gain insights into the products and services people value, and build better experiences." This Facebook's free VPN app had already been downloaded over 33 million times across both iOS and Android devices, and it is still alive and working on the Play Store, and Facebook has no plans to remove it until and unless Google finds it violating its terms.